Available this Autumn order now to receive a signed copy of this fantastic new book at no extra charge. Paul started fishing for carp way back in 1982 at the age of 14 but had already been fishing for several years before that for anything with fins, mainly on The River Thames and it's tributaries in Oxfordshire, and the gravel pits around Stanton Harcourt for perch and pike. His early carp fishing career took him from all the Oxfordshire lakes, into Gloucestershire and then his true passion of chasing heritage carp saw him fishing the likes of Yateley, Elstow and the Colne Valley. This book he describes as a "throwback" to how carp fishing books were written in the eighties and nineties. Paul is no stranger to writing and had his first article published back in the eighties in the then Carp Society magazine "Carp Fisher". He wrote for many years as a contributor in Big Carp Magazines Rotary Letter and has written chapters in several carp fishing books most notably, A History of Yateley Volume 1. Paul isn't interested in the numbers game and generally has only ever fished short sessions whenever he could fit them in around family and work commitments. He believes strongly in angling etiquette which in his view is sadly lacking on many of the busier waters these days and has forced him away from many of his local waters. In the pages of this book you will find a real life story, one all anglers with busy commitments outside of angling can relate to and will empathize with. It starts with those Oxfordshire waters, catching his first double, twenty and thirty, fishing further afield after a heritage forty and then trying to find waters with the right stock of carp, with the right kind of anglers on, without worrying about the pounds and ounces. His friends tell their stories in the form of guest chapters from little known Oxfordshire pits to the cracker factory in Hertfordshire and Harefield and Savay in the Colne Valley. 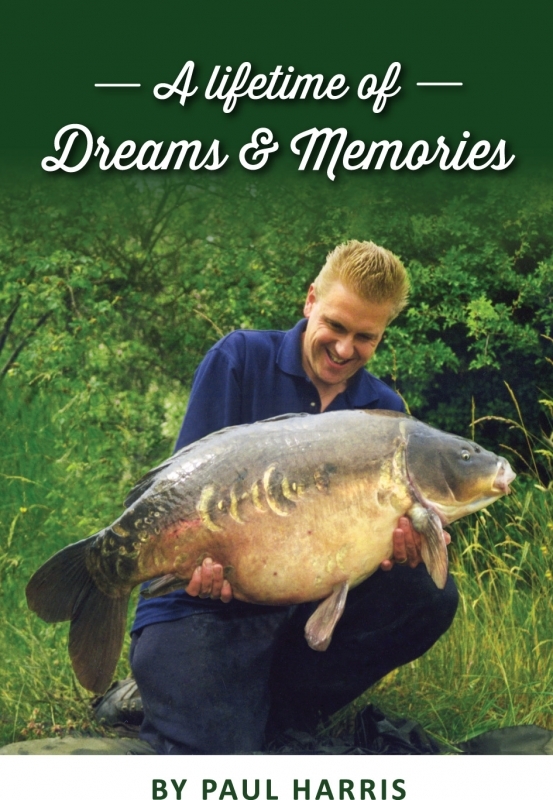 There is something for everyone in this book with many previously unpublished pictures of our true heritage carp, some in some publicity shy venues! Join Paul and his friends in this wonderful journey sharing their fishing dreams and memories over four decades......let the story begin!